The Texas Hill Country is growing at an alarming rate. New neighborhoods and developments are being built to accommodate the growing numbers of people who are migrating to this part of the state. As with most development, the creatures who used to inhabit the newly developed area are on the move as well. As a result, there are near constant reports of residents seeing coyotes in places they’ve never seen them before: namely in yards and even in cities. Should humans be concerned about these coyote sightings? And, what should you do if you see a coyote near your home? The good news is that coyotes attacking humans is an exceedingly rare occurrence. 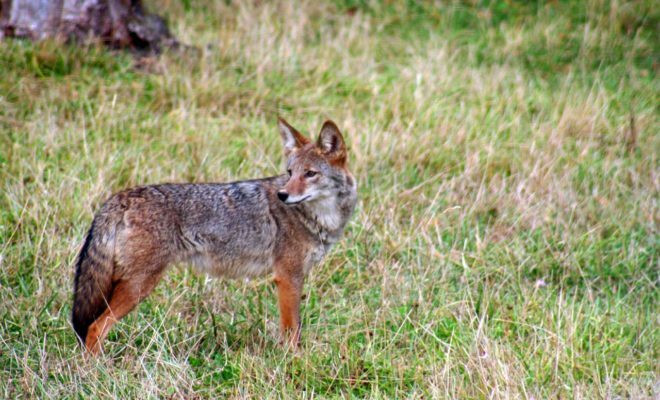 According to the Humane Society, “more people are killed by errant golf balls and flying champagne corks each year than bitten by coyotes.” The real risk of coyotes to your family is the safety of your pets. Coyotes are most active at dawn and dusk, so make sure to keep a careful eye on your outdoor cats and small dogs during this time. If you see a coyote during the day, this doesn’t necessarily mean that it is ill, it is probably just on the move. 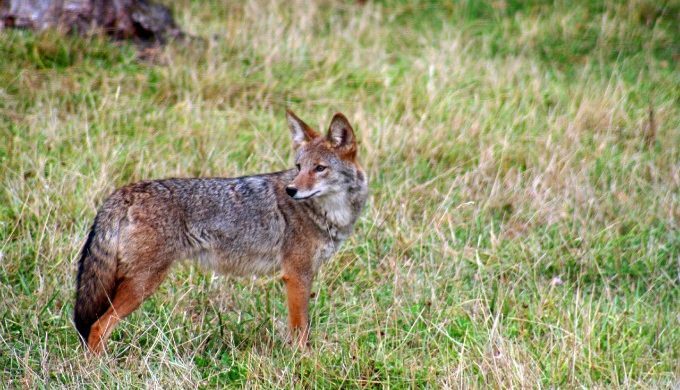 Coyotes breed in February and March, so beginning in January, it is more common to see them moving about the area, as they go in search of a mate. Coyotes’ diet consists of rodents, snakes, birds, grass, and fruit. One problem with coyotes and humans living in closer quarters (due to new development) is that coyotes are adapting to this new environment by eating from garbage cans and pet food bowls. 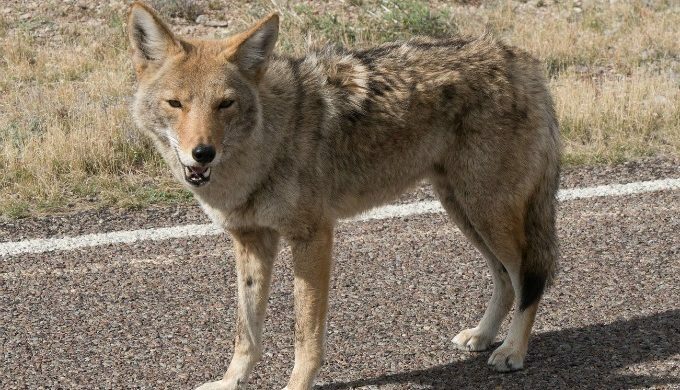 Not only does this draw the animals closer to homes, but it also “habituates” the coyotes, or makes them less fearful of humans. And this is a very dangerous thing.